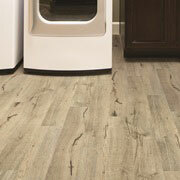 Nowadays, there are many options for trade professionals who are replacing their client’s floors. From comfy carpet to versatile laminate and vinyl to sturdy hardwood and tile, we’ve got it all right here at ProSource® of Columbus West and offer them to you at low wholesale prices. 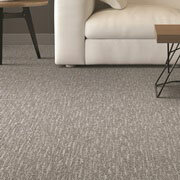 For trade pros whose clients value comfort and want their newly remodeled home to include carpet, look no further. Here at ProSource of Columbus West, we offer a wide variety of carpet flooring in different styles, materials, colors, and textures that will leave your client cozy and satisfied. 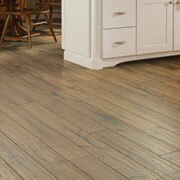 If your client prefers a natural yet elegant look for their home remodel, consider going with hardwood flooring. 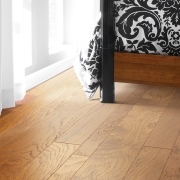 Unlike other retailers that charge ridiculous rates, our selection of fine white oak, bamboo, renewable wood, and other types of hardwood offer affordable flooring without compromising quality and beauty. Versatile, long-lasting, easy to install, and available in many different styles, our laminate flooring is a great option for trade pros working with a smaller budget. If your client wants to save some money, bring them in and we’ll walk them through our mock-hardwood, stone, and ceramic laminate flooring options. 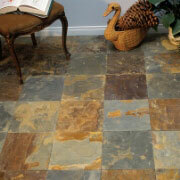 Tile flooring is a timeless favorite that has evolved with the latest styles. Stop by our showroom today and we’ll show you all our porcelain, ceramic, and stone tile flooring options! If your client is interested in laminate flooring, be sure to also have them consider our luxury vinyl tile (LVT) and luxury vinyl plank (LVP) flooring selection. These options are great for any kitchen, bathroom, or basement remodel, as they repel water, moisture, mold, and mildew. We proudly serve Columbus, Hilliard, Dublin, Upper Arlington, and Gahanna, Ohio, and the surrounding communities. The ProSource of Columbus West showroom is conveniently located in Columbus, Ohio and serves all of the neighboring cities including Adamsville, Adelphi, Alexandria, Amanda, Amlin, Ashley, Ashville, Bainbridge, Baltimore, Bellville, Blacklick, Bladensburg, Blissfield, Blue Rock, Bourneville, Bremen, Brice, Brinkhaven, Broadway, Brownsville, Buchtel, Buckeye Lake, Bucyrus, Butler, Cable, Caledonia, Canal Winchester, Carbon Hill, Cardington, Carroll, Catawba, Centerburg, Chauncey, Chillicothe, Circleville, Clarksburg, Commercial Point, Conesville, Corning, Creola, Crestline, Crooksville, Croton, Cynthiana, Danville, Delaware, Derby, Dresden, Dublin, Duncan Falls, East Fultonham, East Liberty, Edison, Etna, Frazeysburg, Fredericktown, Fulton, Fultonham, Galena, Galion, Galloway, Gambier, Glenford, Glenmont, Glouster, Granville, Gratiot, Green Camp, Grove City, Groveport, Hallsville, Harpster, Harrisburg, Haydenville, Heath, Hebron, Hilliard, Homer, Hopewell, Howard, Iberia, Irwin, Jacksontown, Jacksonville, Johnstown, Junction City, Kenton, Kilbourne, Killbuck, Kingston, Kirkersville, La Rue, Lancaster, Laurelville, Lewis Center, Lithopolis, Lockbourne, Logan, London, Londonderry, Loudonville, Lucas, Magnetic Springs Mansfield, Marengo, Marion, Martel, Martinsburg, Marysville, Mc Arthur, Mechanicsburg, Middleburg, Milford Center, Millersport, Millfield, Mingo, Morral, Mt. Gilead, Mt. Liberty, Mt. Perry, Mt. Sterling, Mt. Vernon, Mt. Victory, Moxahala, Murray City, Nashport, Nelsonville, Nevada, New Albany, New Bloomington, New Holland, New Lexington, New Marshfield, New Plymouth, New Straitsville, Newark, North Lewisburg, North Robinson, Oceola, Ontario, Orient, Ostrander, Pataskala, Perrysville, Philo, Pickerington, Plain City, Pleasantville, Powell, Prospect, Radnor, Ray, Raymond, Reynoldsburg, Richmond Dale, Richwood, Ridgeway, Rockbridge, Roseville, Rushsylvania, Rushville, St. Louisville, Sedalia, Shauck, Shawnee, Somerset, South Bloomingville, Sparta, Sroutsville, Sugar Grove, Sulphur Springs, Summit Station, Sunbury, Tarlton, The Plains, Thornville, Thurston, Trimble, Trinway, Union Furnace, Unionville Center, Utica, Waldo, Walhonding, Warsaw, Waverly, West Jefferson, West Mansfield, Westerville, White Cottage, Woodstock, Zaleskim Zanesfield and Zanesville.